Tomorrow, my wife and I will be taking our nephew to Disneyland. 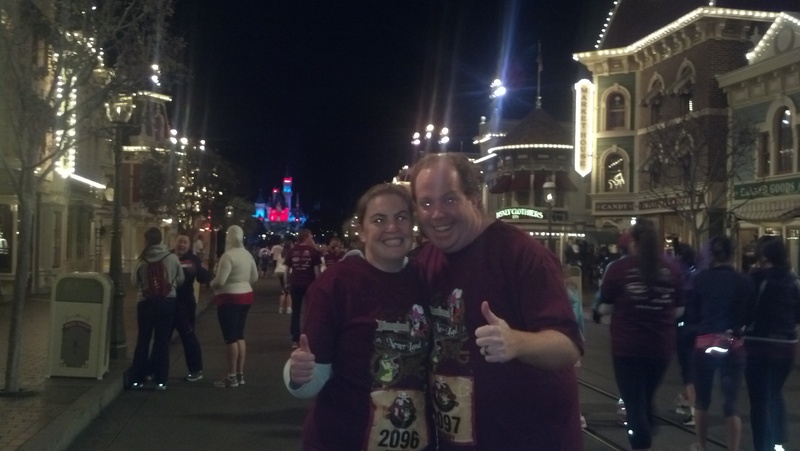 It will be our first trip back to the resort since the Tinker Bell Half Marathon weekend. So, I thought that this would be the perfect opportunity to type up a report on this wonderful and life changing weekend. I hope you enjoy. 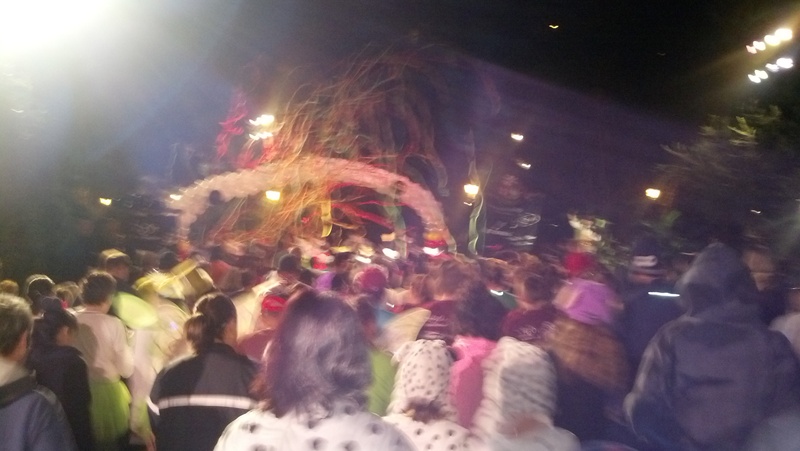 First up, was the Neverland 5K. 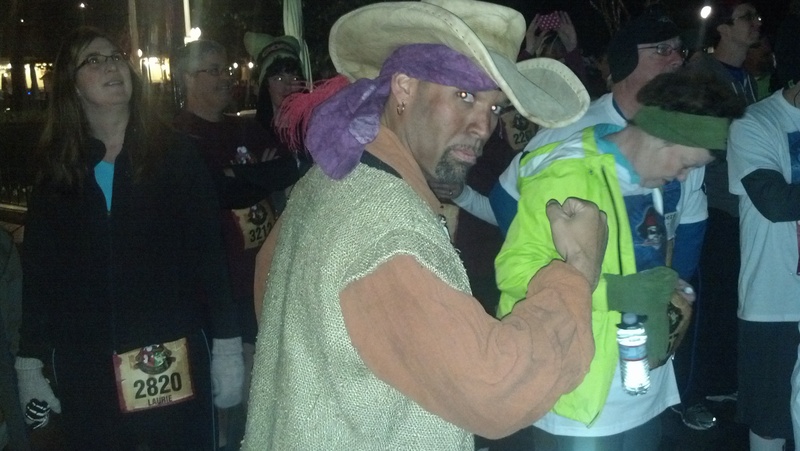 About a year prior to this race, I did the Innagural Neverland 5K as my first ever running event. Needless to say, I liked the event so much that I was inspired to run more. 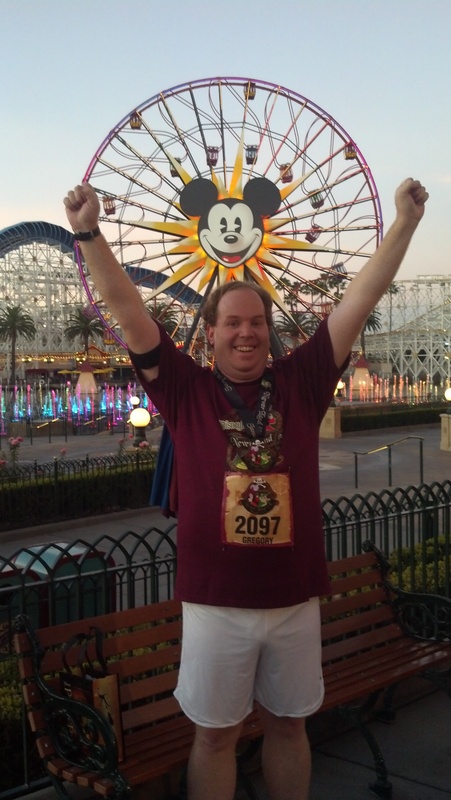 Back then, I thought it would have been cool to run in the Tinker Bell Half Marathon, but was in no shape to do so. 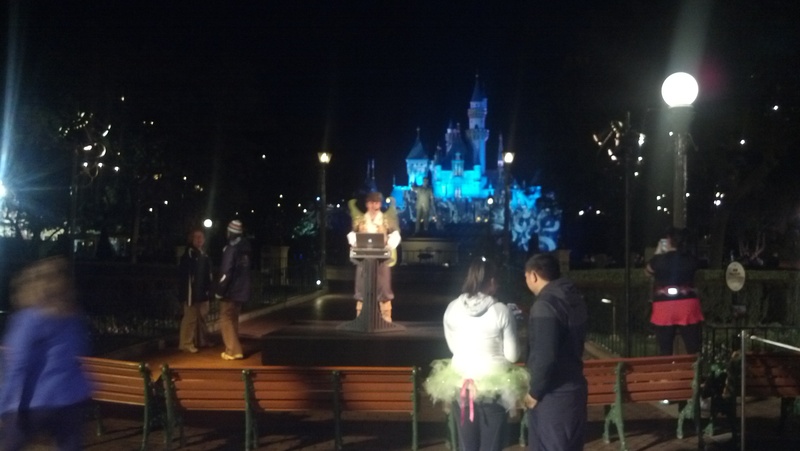 In the back of my head, I had this idea that I would make the Tink Half my first. 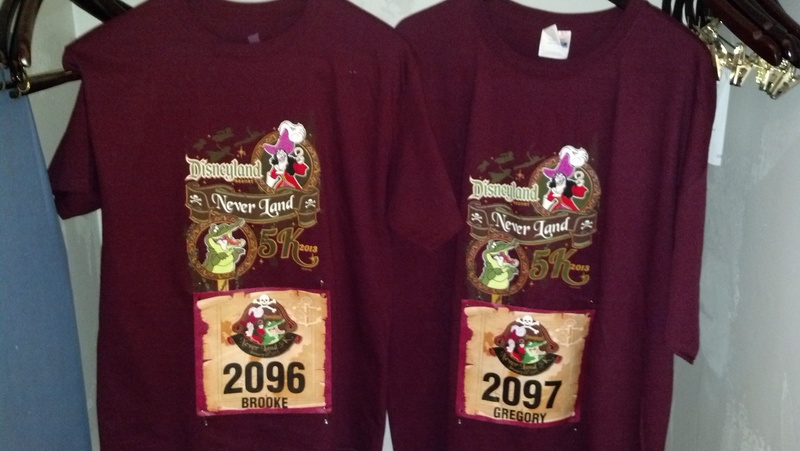 In 2013, the Neverland 5K became my wife’s first running event. 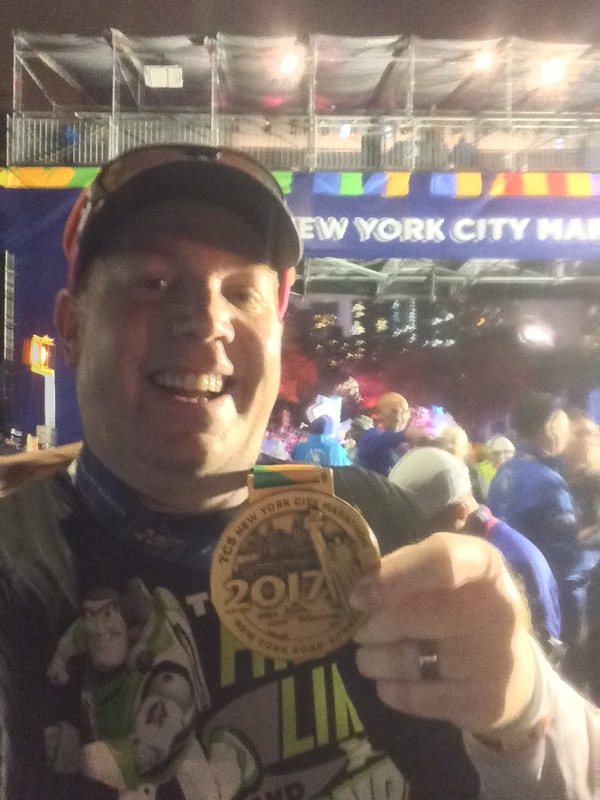 When we signed up, I wasn’t sure that it would be a good idea for me to run in both the 5K and the half marathon the next day. 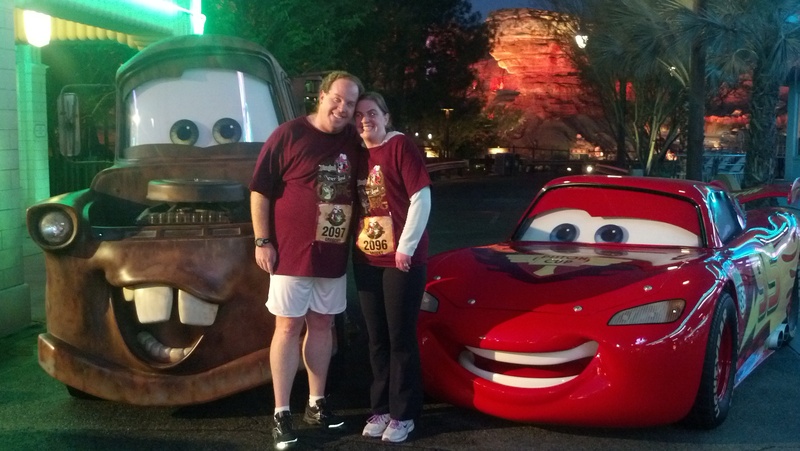 However, my wife thought that she’d walk most of the 5K. So, I decided to be with her for her first run. 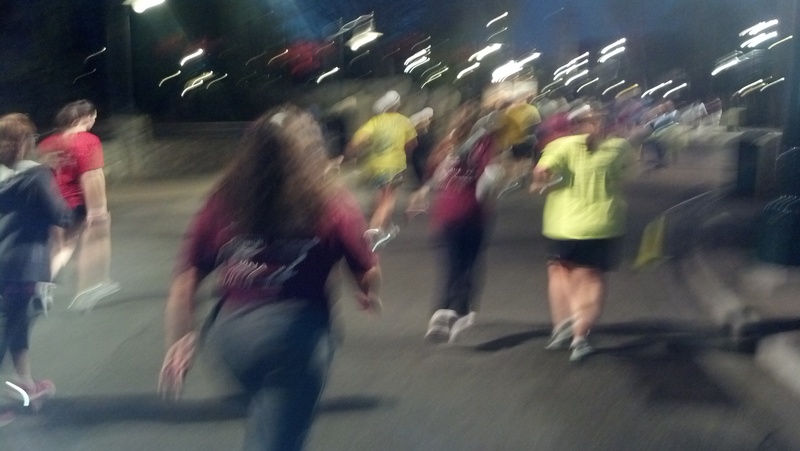 Unlike, the previous year, this 5K was run early in the morning. So, we got up at O dark thirty in the morning and tried to be excited about being up so early. By the time we arrived at Disneyland from our hotel, the energy was contagious. 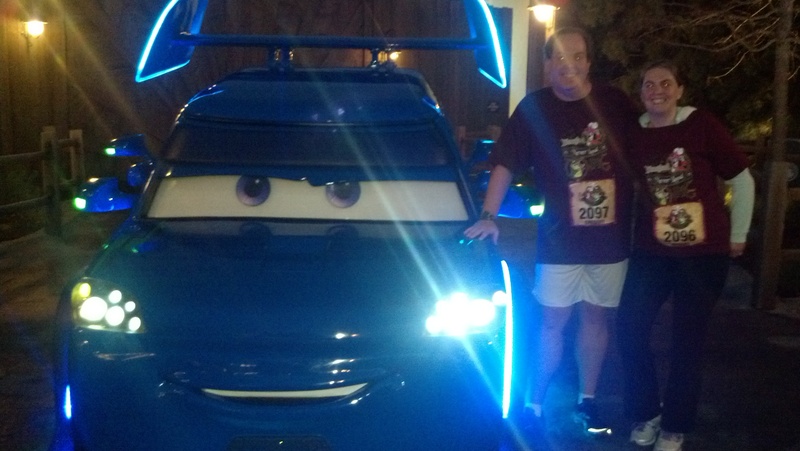 We were told that the estimated number of runners joining us would be around 4,500. It all looked just as crowded as last year. A little while later, the MC’s came out to give us the low down on the 5K and to set the tone for the fun run. As they said, the race is not officially timed. So, we could tell others we finished in whatever time we wished. After the MC’s got done, it was time for the National Anthem. 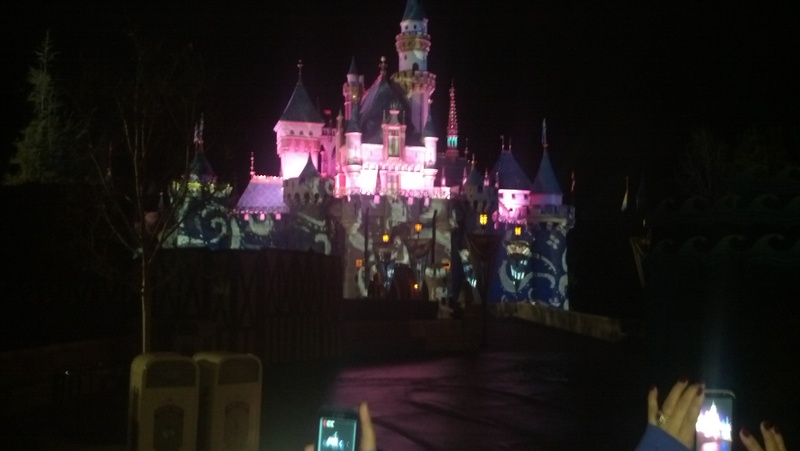 This was followed by fireworks and a fly over by Tinker Bell herself. Then, they got the first corral ready to start the race. My wife and I were in the second corral. Before we knew it, we were off and running. We followed the second star to the right and off to Fantasy Land. I love the Christmas version of It’s a Small World. So, it was really fun to run by this attraction still decorated for Christmas. Once we got past It’s a Small World, we ran backstage. 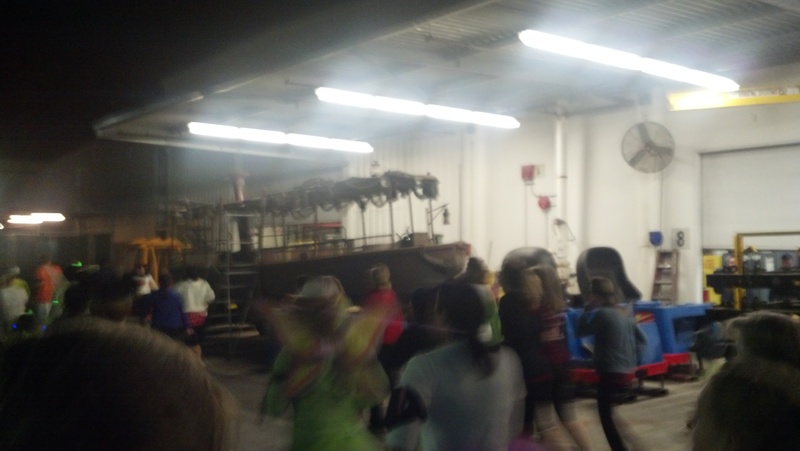 This is my favorite part of running at Disneyland…running backstage. As a cast member and member of the Disney Cast Member Choir, I get to see backstage all the time when we sing at the Disneyland Candlelight Processional. However, taking pictures back stage is a big, huge no, no. Last year, I remember regretting leaving my camera at the hotel room because they allowed for photos backstage. This year, I knew better. They not only allow for photos backstage, but set up places for picture-taking. 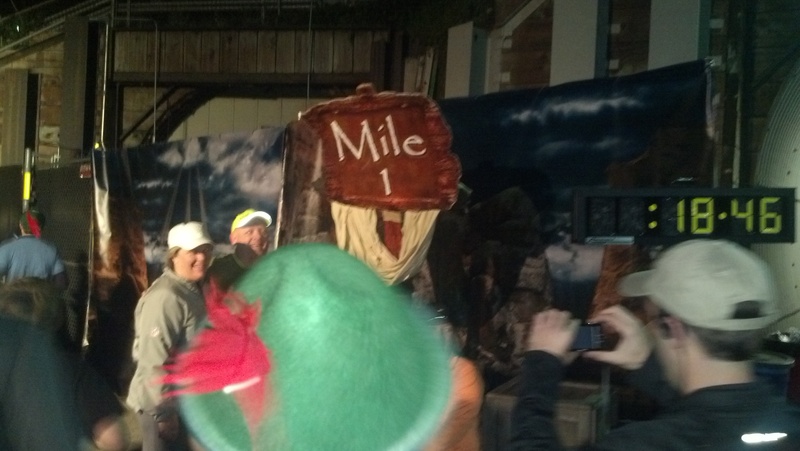 Before we knew it, we were passing the mile 1 marker. Keep in mind, we did start in the second corral. So, our time was a little faster than what the clock says. Plus, I was pretty proud of my wife for running as much as she was. 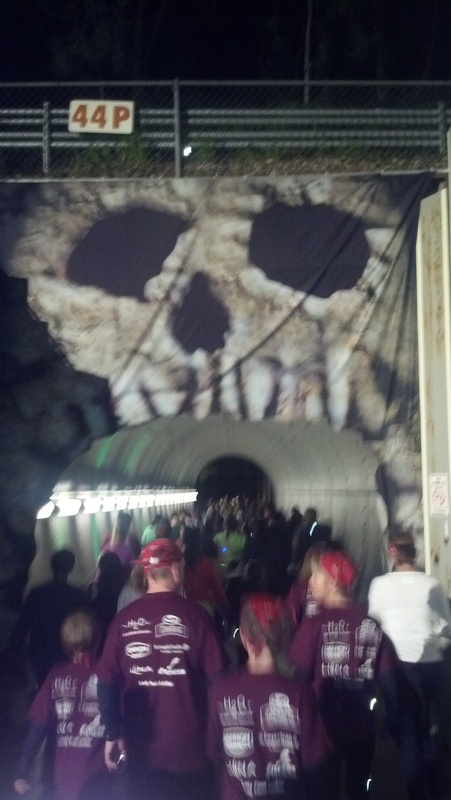 As we got close to the end of our first backstage section, there was this cool projection onto the tunnel we would run down. 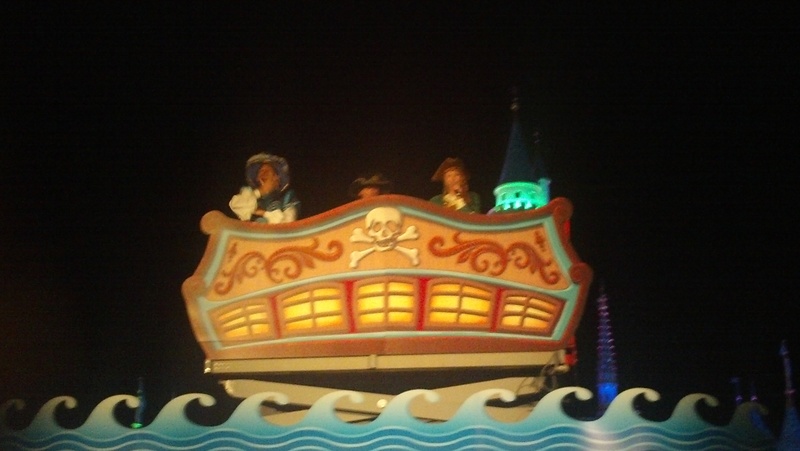 We would come back onstage in Toon Town. From there, we continued back through Fantasy Land and onto Frontier Land. 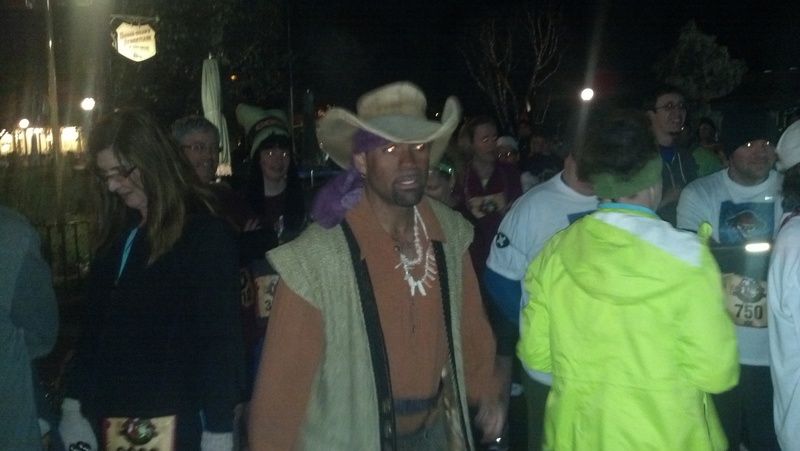 We ran next to the Rivers of America where the pirate ship was all lit up and they had some more characters to pics with. The lines were a bit long and my wife was pretty motivated to finish as fast as she could. So, we kept going. From there, we wound our way through Critter Country and backstage again. This time, our backstage journey would lead us out of Disneyland. 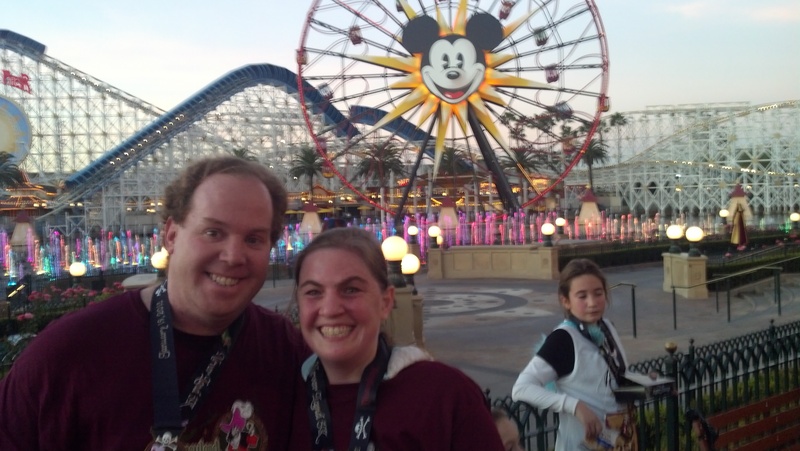 Once outside of Disneyland, we ran along the entrance and would cross over to California Adventure. 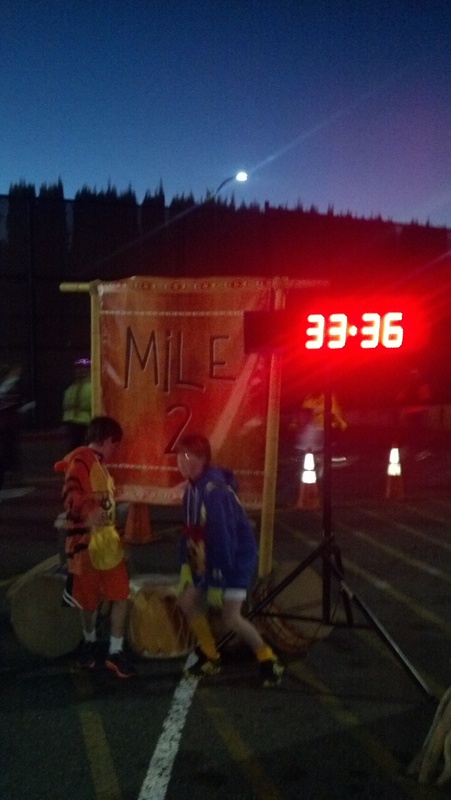 Before going backstage at DCA, we found mile marker 2. When you pass this point, we ran through another tunnel that would drop us backstage at DCA. The incline coming out of this tunnel isn’t the hardest thing ever, but it’s not easy either. Lots of runners were walking up it. 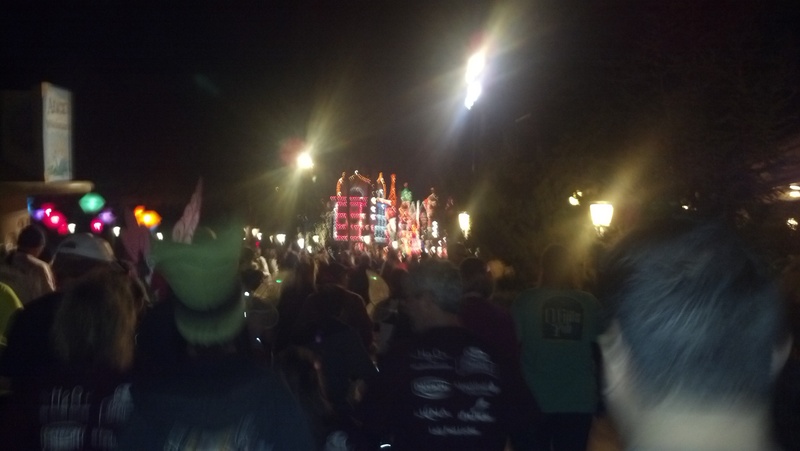 We came out of the backstage to the area by Tower of Terror. From there, it was off to the Hollywood Street and past the Carthay Circle Restaurant. 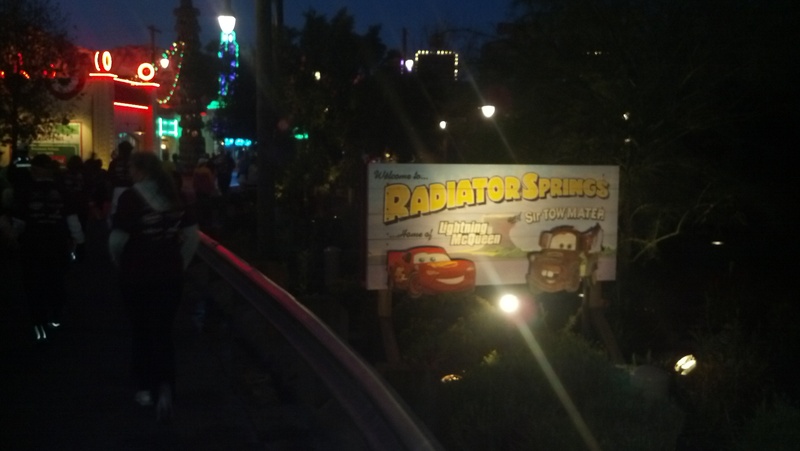 Next, we headed through “a Bug’s Land” on our way to Cars Land…Radiator Springs here we come! Of course, we did have to stop for a few photos along the way. Especially, since the lines were virtually non-existent at that point. 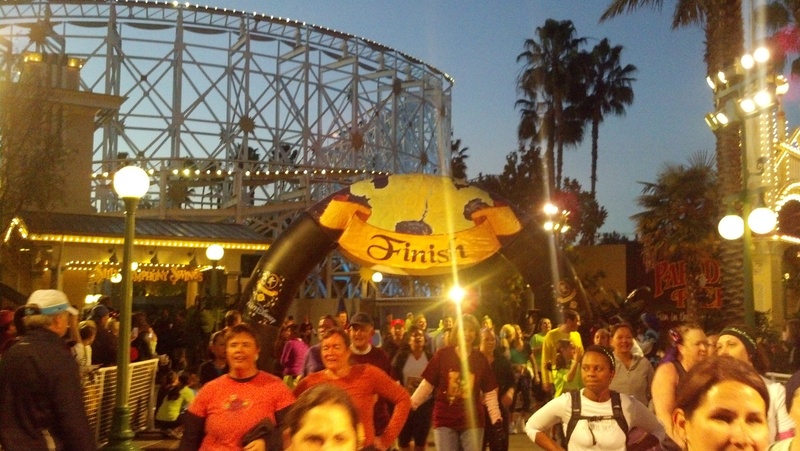 From there, it was up Radiator Springs, to the Paradise Pier and off to the finish. 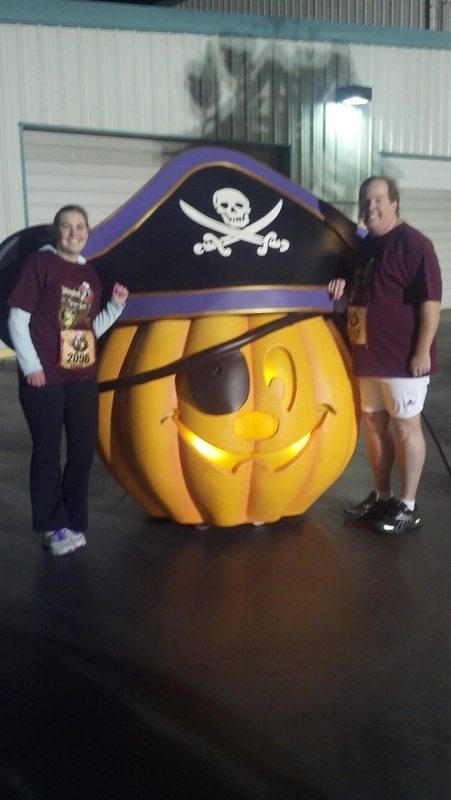 Considering this was my wife’s first 5K, we didn’t do too bad. We finished in around 45 minutes. Around 5 minutes or so was spent stopping for some of the pictures. So, our actual time running was less than the 45 minutes we finished in. I was very proud of my wife for running as much as she did. After the race, we headed back to the hotel to get cleaned up and get some breakfast. Later in the day, we met friends of ours for a day of fun in the parks. 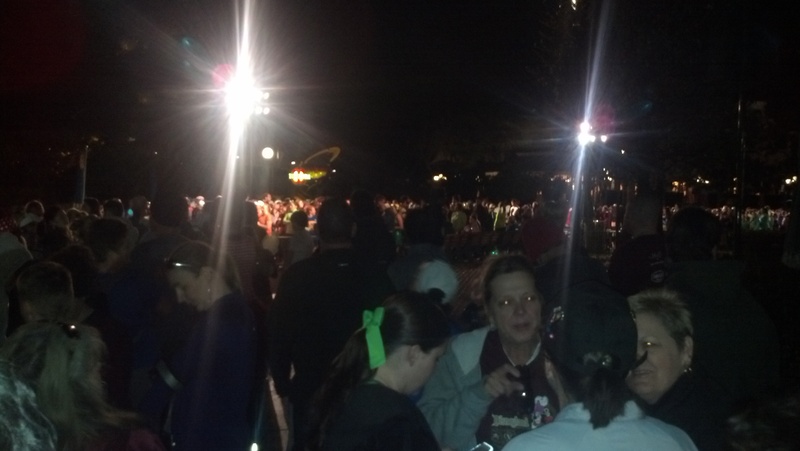 Up next, the Tinker Bell Half Marathon. I wanna say thanks for posting this correct information. Keep up the good work. I’ll subscribe to your blog also. thanks! Hello you have a cool weblog. I wanna say thanks for publishing this cool information with us. Keep up great work.